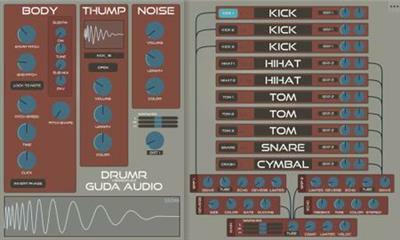 Multiple sections for kicks, hihats, toms, snare and cymbal. Each section with detailed control with both synthesized, samplebased and granular sampling technology. Mixer section always visible with two group channels with idividual distortions, limiter and sends to echo and reverb.